Victoria Alexeeva joined our Oakland office in 2015 as an Associate Attorney. 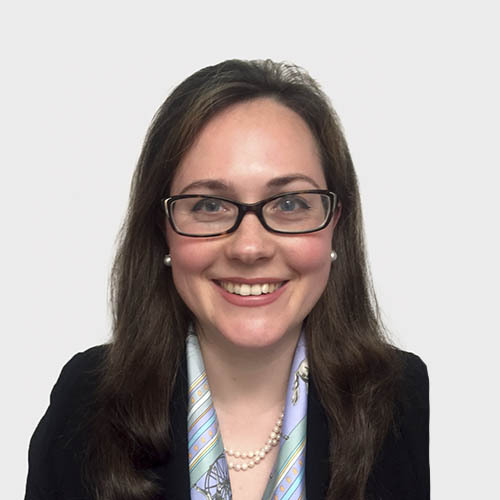 After graduating from law school, Victoria worked as house counsel for Liberty Mutual for four and a half years representing clients in workers' compensation and civil litigation matters. She then joined a private defense firm where she represented various insurance companies, employers, self-insured entities, and third party administrators before the Workers’ Compensation Appeals Boards with respect to standard workers’ compensation defense, including asbestos and wrongful death claims, as well as 132(a) matters. Victoria was then hired by AIG as a trial attorney and continued representing AIG and its policy holders in workers’ compensation matters for almost five years prior to coming to work for Mullen & Filippi in December of 2015. Victoria received her law degree from Golden Gate University School of Law in 2003. She received a Certificate in Intellectual Property Law and made both Dean's List and National Dean's List. Victoria also published an article at Cardoza Women's Law journal in 2003. Prior to law school, Victoria attended Santa Clara University earning a Bachelor of Science degree in Political Science & French in 1999. Victoria is a member of the State Bar of California and the State Bar of California Workers' Compensation section. What I love most about my job is that it never becomes mundane. As an attorney practicing workers' compensation law for over 12 years, not only have I experienced many radical and rapid changes in law but have met a lot of wonderful people, most of whom are my clients and fellow members of the bar. Being a mom of two girls has taught me to be exceptionally organized and efficient when it comes to all aspects of life ranging from working to planning a family day trip to enjoy beautiful Bay Area nature, cultural events and social life.